Ropa vieja literally means “old clothes” in Spanish, which likely refers to the appearance of the shredded beef in this Cuban dish. One of my earliest Cuban ropa vieja memories takes place in the gilded dining room at Versailles. I am not referring to the French palace, mind you, but rather to the palatial restaurant of the same name in Little Havana, Miami, which, founded in 1971, is a landmark in its own right. The Old Havana ambiance strikes me as I walk up to the front door, passing by an open coffee counter crowded with men drinking espresso in a cloud of cigarette and cigar smoke. They converse in their native Spanish, the language of the newspapers tucked under their arms. The dining room is fit for a would-be king, illuminated by crystal chandeliers and lined with elaborately etched mirrors rimmed in gold, all a bit faded. Tourists and regulars steadily stream in, packing the tables and filling the air with boisterous conversation in Spanish and English. 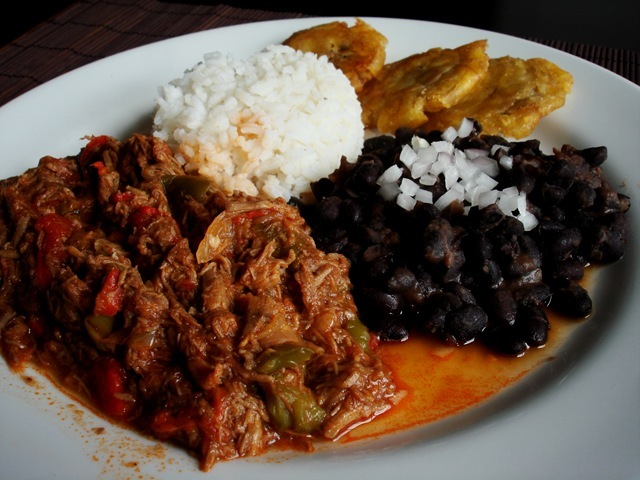 I find it difficult to choose from the extensive menu, but am ultimately swayed by ropa vieja, one of the daily specials, served with rice, black beans and fried sweet plantains. I’ll have to get the Cuban sandwich next time, I tell myself, for consolation’s sake. Our dishes arrive quickly – service is efficient here, tuned to the American lunch hour. But my ropa vieja has apparently been stewing for hours. The meat is incredibly tender and thoroughly infused with the flavors of the tomatoes, peppers and onions in the sauce. The cooks here know what they’re doing. 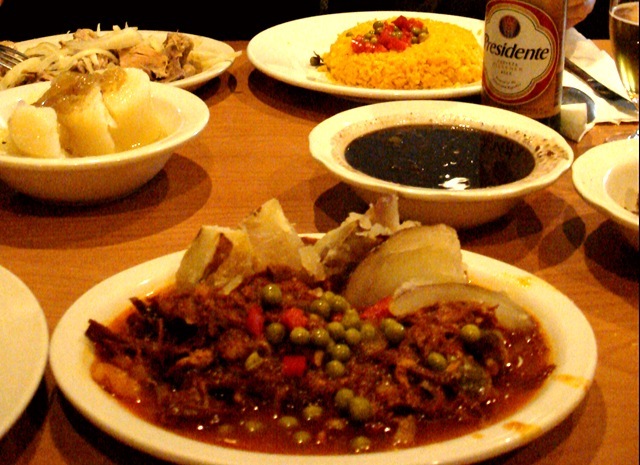 I have equally fond memories of the ropa vieja and of the tasajo, a similar dish made with dried beef, at La Teresita, another palatial Cuban restaurant/banquet hall, minus the opulent decor, in Tampa. And of the takeaway ropa vieja from the diminutive Black Bean Deli, a long-time favorite for Cuban staples in my hometown, Winter Park. And at Pambiche, a colorful and hip Cuban restaurant in Portland, Oregon, a taste of Florida in my adopted home of ten years. I am certain that Cuban grandmothers were involved in all the recipes. With so many time-honored versions of ropa vieja at my fingertips, I didn’t learn to make it myself until I was living in Avignon, France, without a Cuban restaurant in sight. I had a craving. 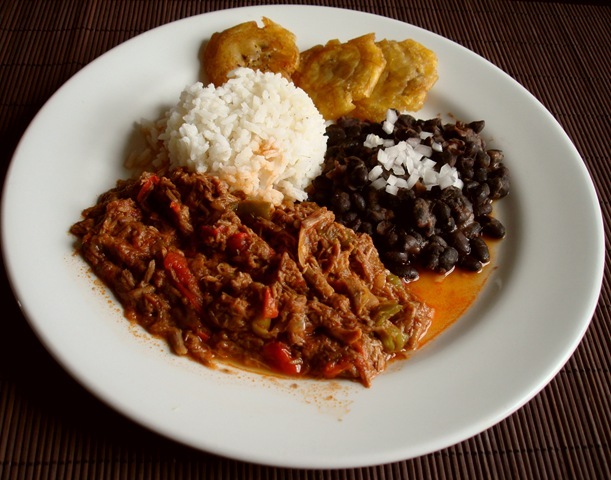 Ropa vieja had become like a family dish to me, with flavors that reminded me of home. 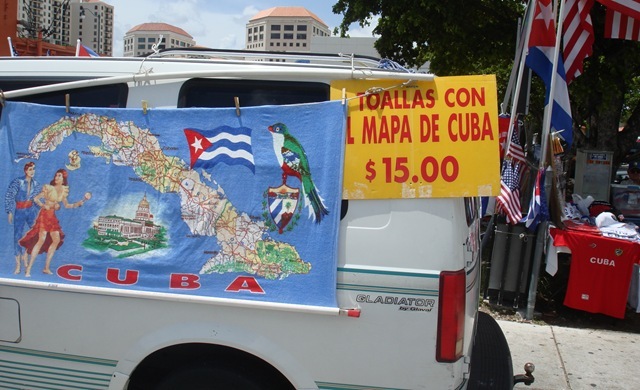 Since I don’t have a Cuban grandmother, I turned to the Internet for help. The resulting recipe has become one of my favorite dishes to make for a meal with friends, first in France, and now in Spain. This luscious shredded beef stew, a New World island spin on familiar Old World ingredients, never fails to please. My dining room is no Versailles, but with ropa vieja on the table, I can taste Florida just the same. 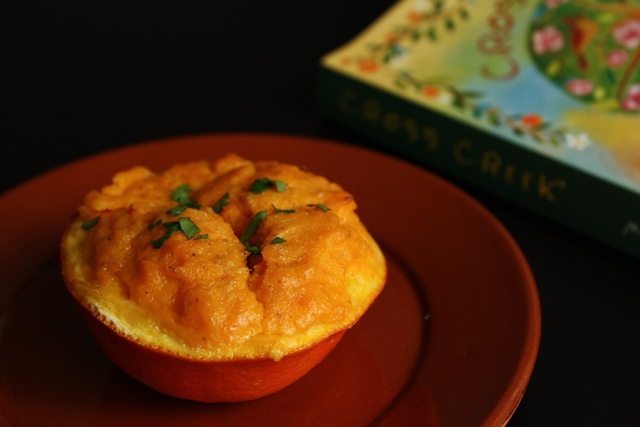 – Adapted from this recipe originally published in Gourmet magazine in 1995. Many variations of Cuban ropa vieja exist out there, which isn’t surprising given that the dish originated with home cooks. While the following recipe, guided by nostalgia, is perhaps not exactly authentic, I find it delicious nonetheless. And it takes me back to Florida every time. I continue to research and modify the process, and appreciate suggestions. I’ll have to take a Cuban cooking class sometime when I’m home! Season beef with salt and fresh-ground pepper. Lightly coat the bottom of a 5-quart saucepan or Dutch oven with olive oil and heat over medium-high heat. Add beef and brown on all sides. Add water to cover about 3/4 of the beef and toss in the rest of the braising ingredients. Bring to a boil over high heat and skim off any foam. Reduce heat and simmer, covered, until beef is tender, checking occasionally and adding more water as necessary. Depending on the cut and quality of the meat, this could take anywhere from 1 1/2 to 2 hours. Remove from heat and allow meat to cool in the braising liquid. Remove meat and set aside; discard vegetables. At this point, many recipes I have read (though not all) say to boil the liquid for around 1/2 hour to reduce it, such as the previously mentioned version in Gourmet. I recently skipped this step (it was late), and the recipe turned out just as delicious. Te beef can be braised up to one day in advance. Store the meat and liquid separately in the refrigerator. Shred the meat with your hands, trimming excess fat as you go. If the meat seems tough at this stage, don’t worry – it will soften as it simmers. Heat 2 tablespoons of olive oil in a large saucepan over medium high heat. Reduce heat to medium, and sauté onions with green and red peppers and garlic until softened. Add shredded beef, braising liquid, tomatoes, tomato paste and cumin. Season with salt and pepper to taste. Simmer, uncovered, for at least 30 minutes, adding more braising liquid as needed. I tend to simmer ropa vieja for 1 hour or more, which I find really heightens the flavor.